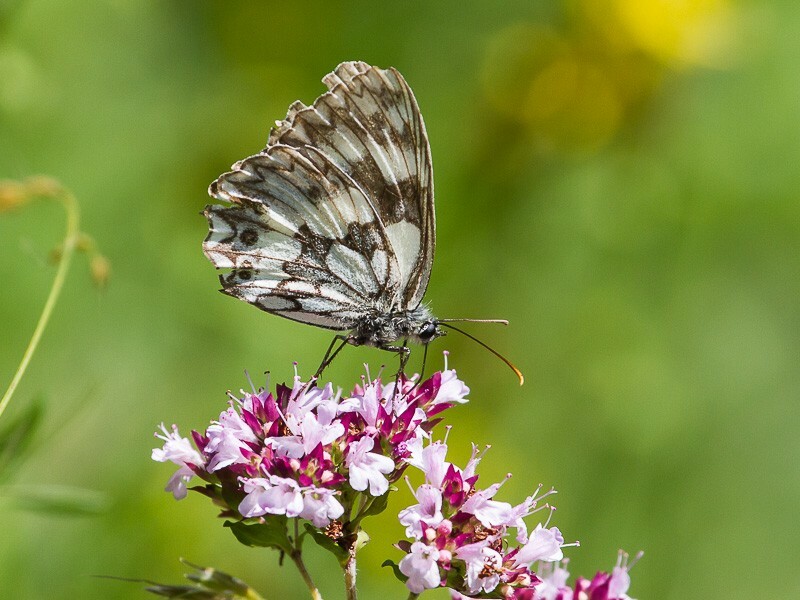 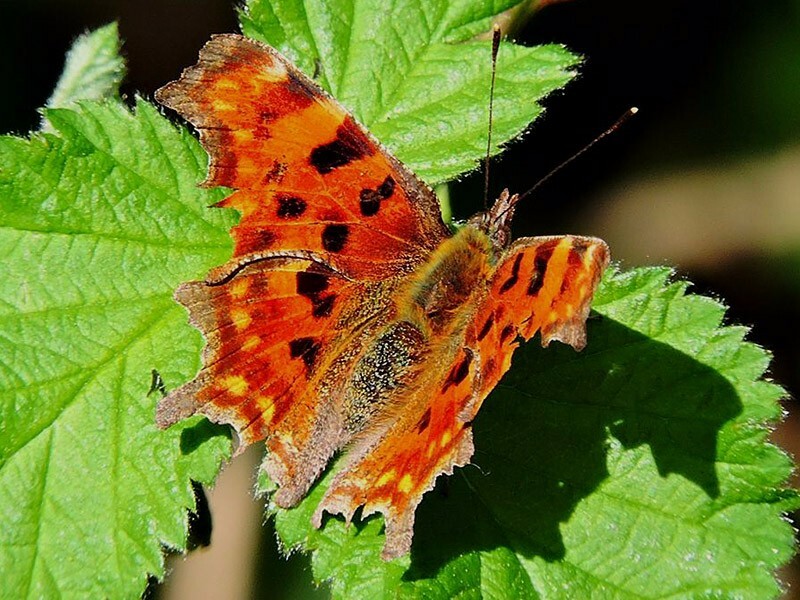 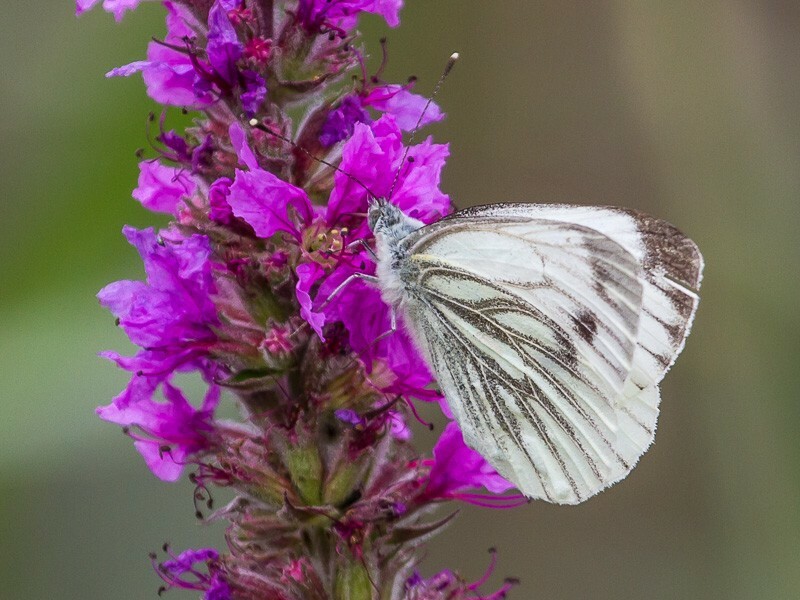 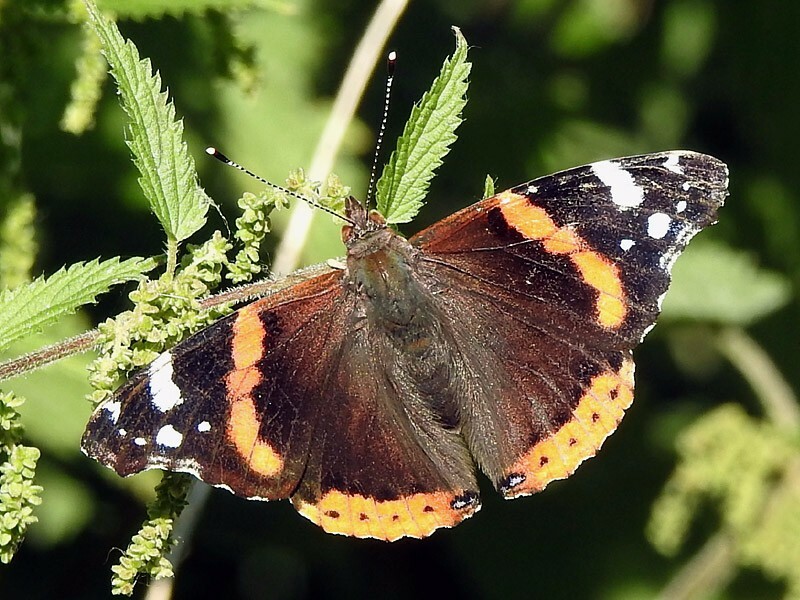 The habitat at Lavell’s Lake and the surrounding area, with plenty of nettles and other food sources for caterpillars, means the reserve is home to a number of species of butterflies. 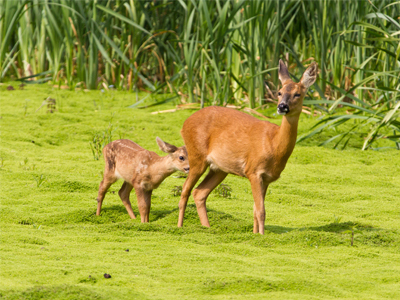 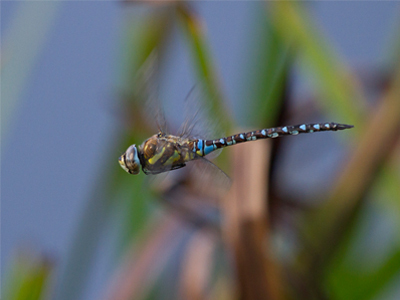 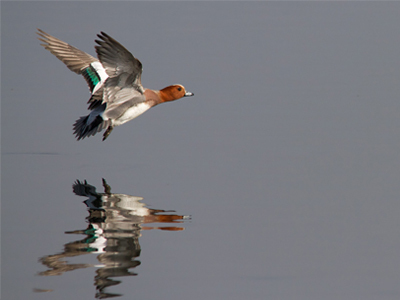 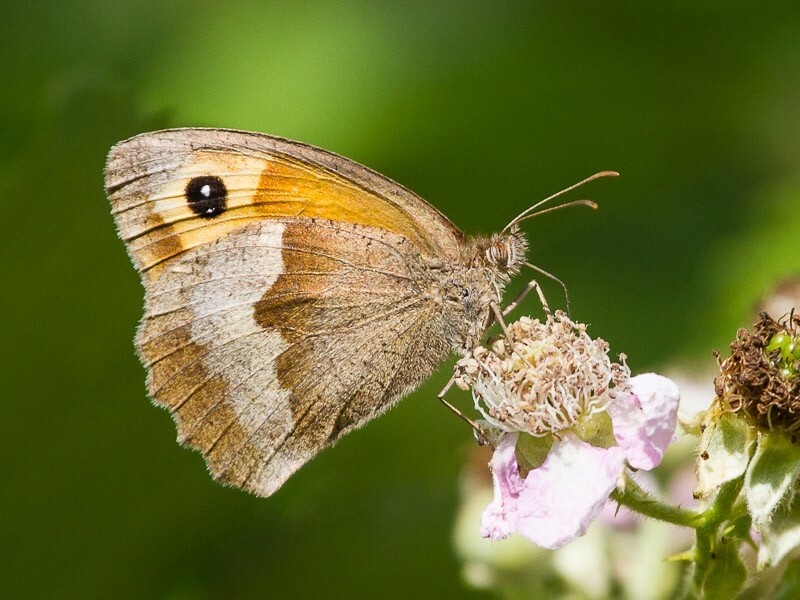 Largely unspoilt, Middle Marsh can be a productive location to look for butterflies and other insects. 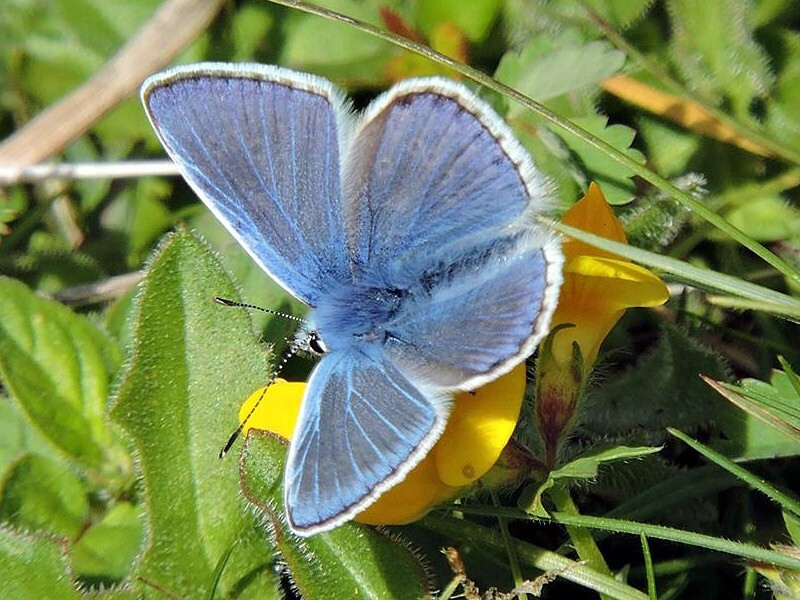 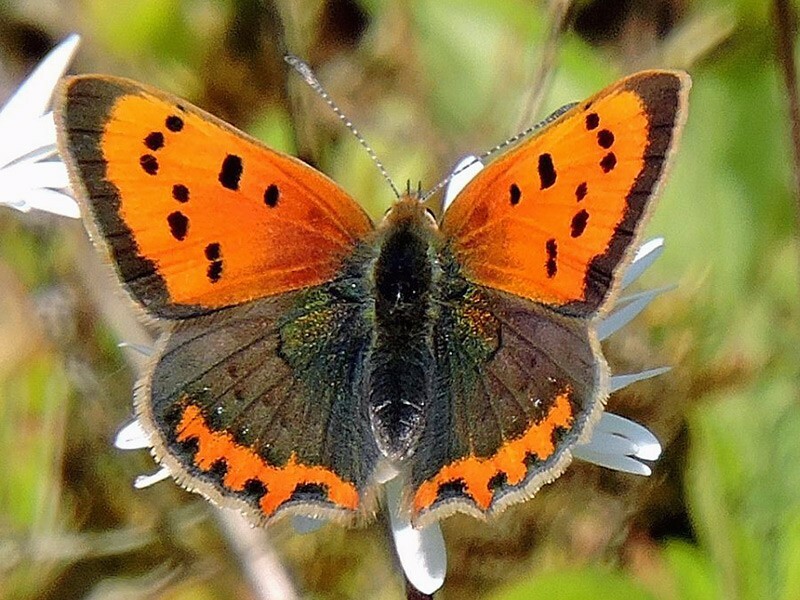 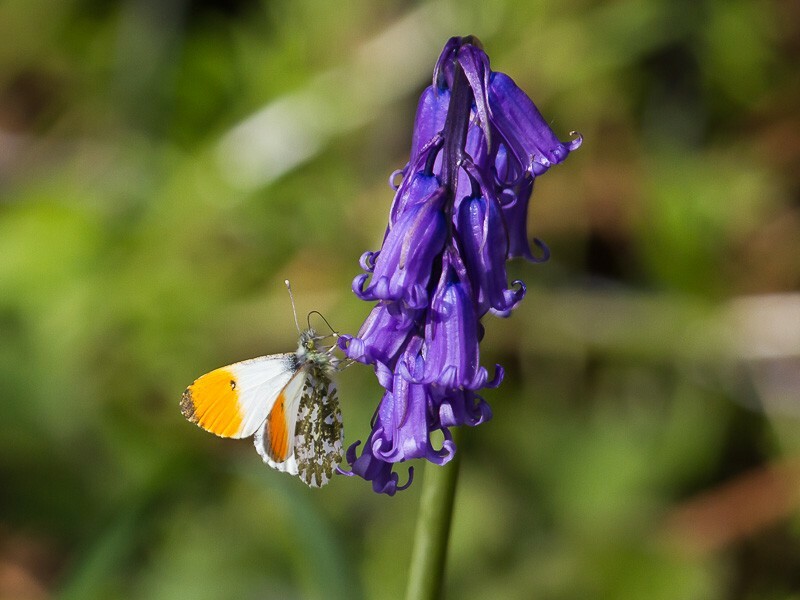 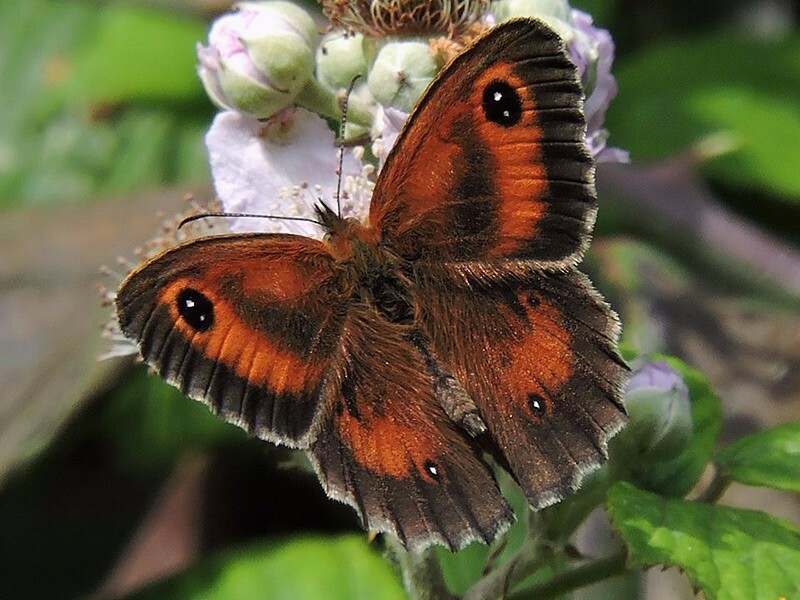 Most are on the wing on warm, sunny days from spring until early autumn though some, such as Gatekeeper, Meadow Brown and Orange-tip have shorter flight seasons. 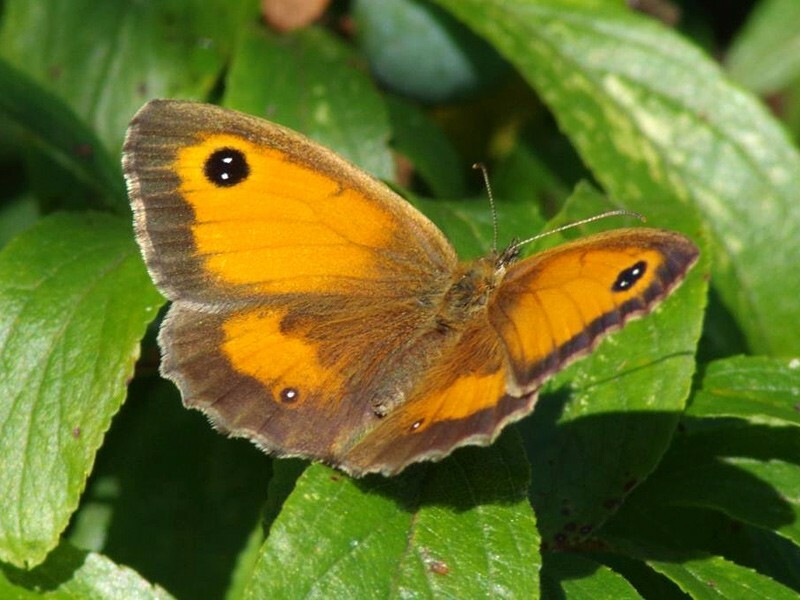 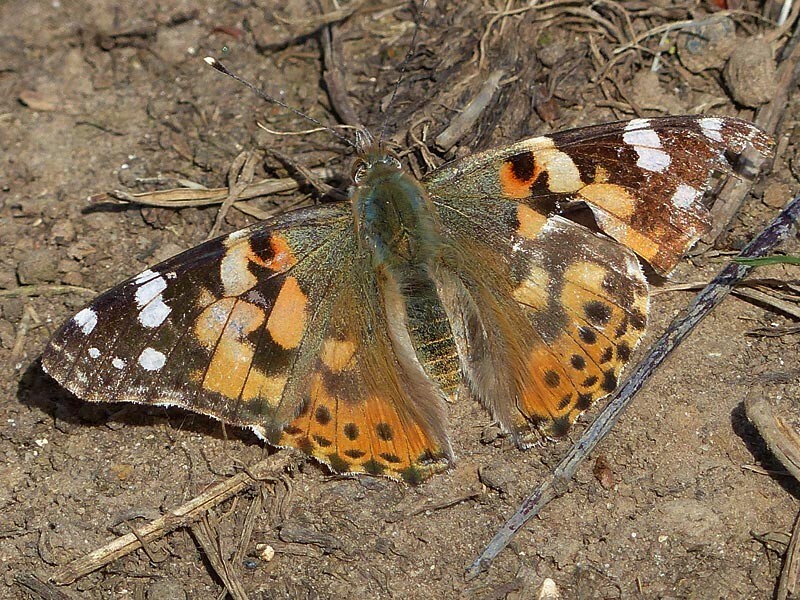 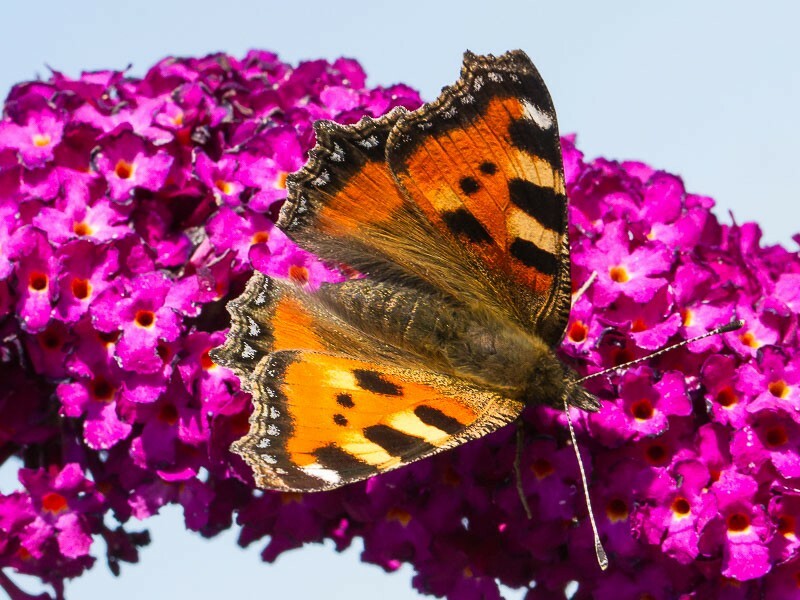 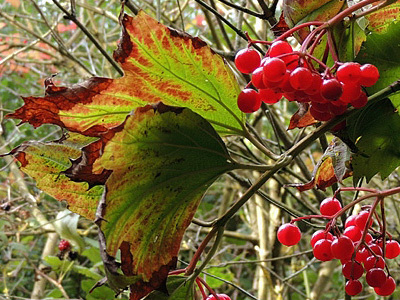 Conversely, a few that hibernate over winter, such as Brimstone, Peacock and Red Admiral, can even be seen on warm, sunny days in winter. 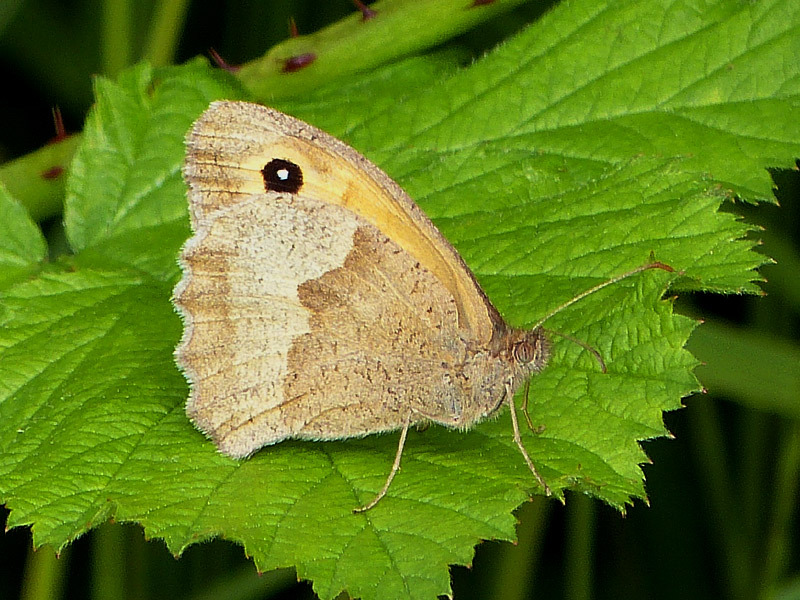 A list of species regularly seen is included below. 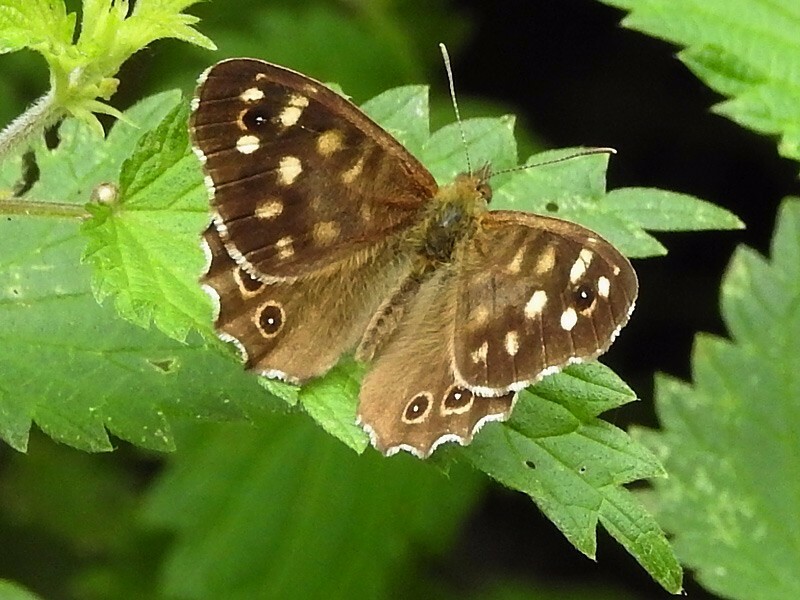 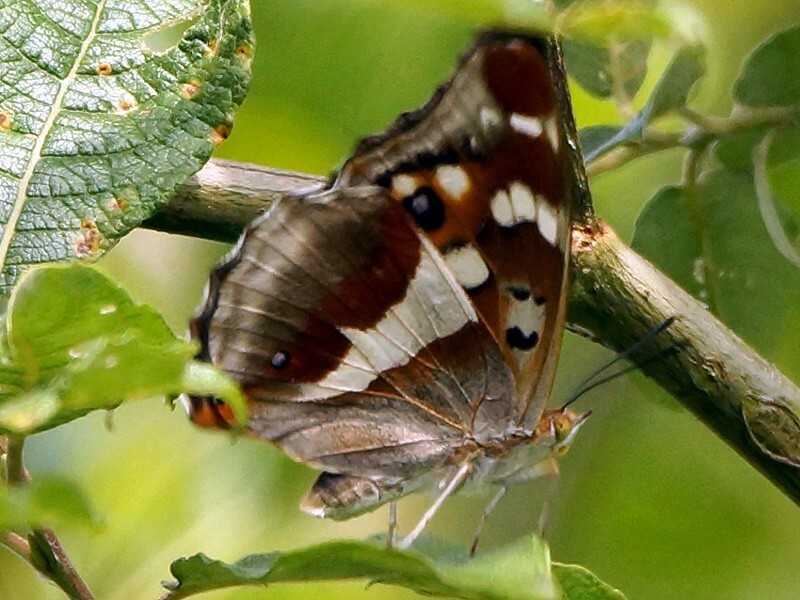 Apart from the “regulars”, the reserve also attracts some rarer visitors, such as the female Purple Emperor (Apatura iris) seen by FOLL member Geoff Emmett at Lavell’s Lake, laying eggs on sallow bushes between Bittern and Teal hides in July 2014. 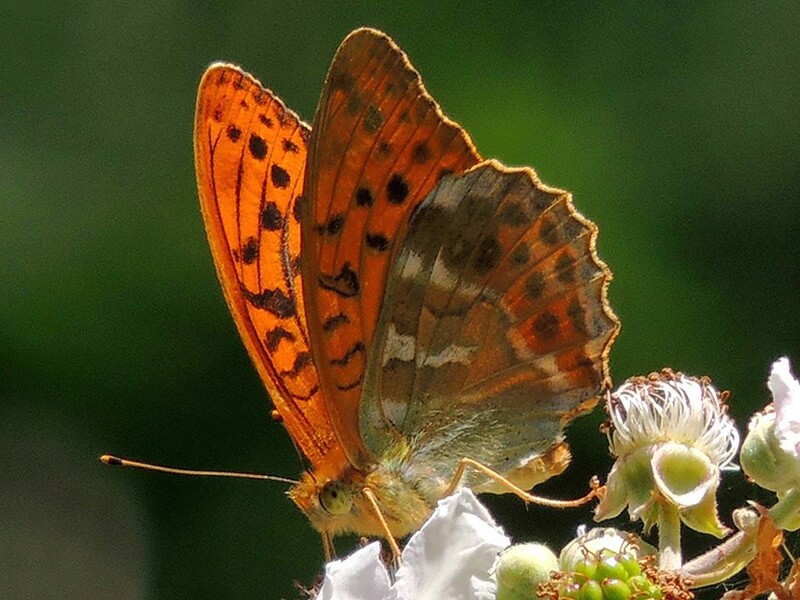 Other species seen infrequently include White Admiral (Limenitis Camilla), Clouded Yellow (Colias croceus), Small Heath (Coenonympha pamphilus), Purple Hairstreak (Favonius quercus), Green Hairstreak (Callophrys rubi), Silver-washed Fritillary (Argynnis paphia), Dark Green Fritillary (Argynnis aglaja) and Dingy Skipper (Erynnis tages). 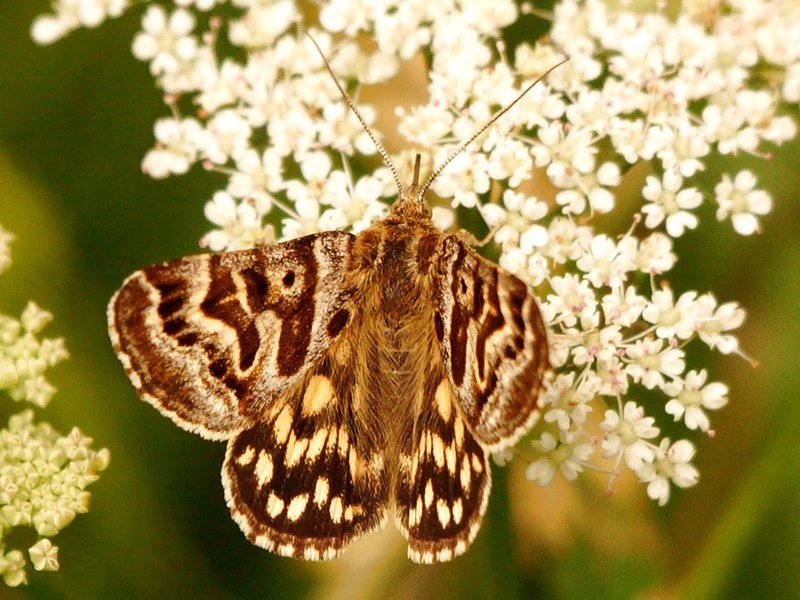 There are around 2,500 species of moth in the UK. 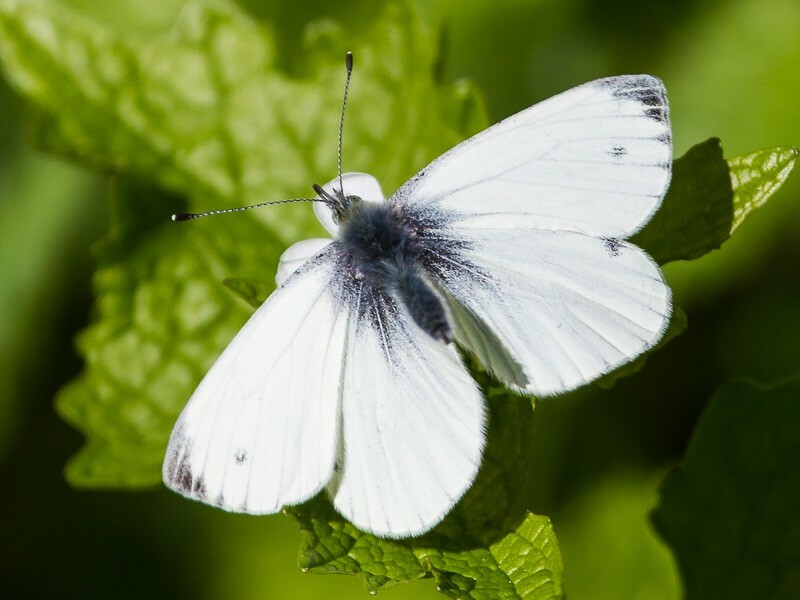 Many are present at the site and we have not listed them here. 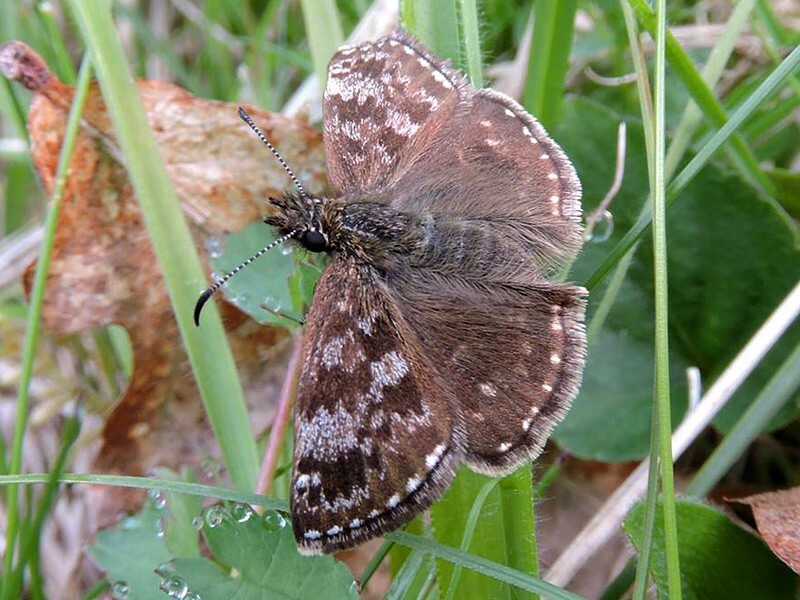 One notable moth sighting was of a Clifden Nonpareil (Catocala fraxini), seen by Geoff Emmett on 11th August 2011. 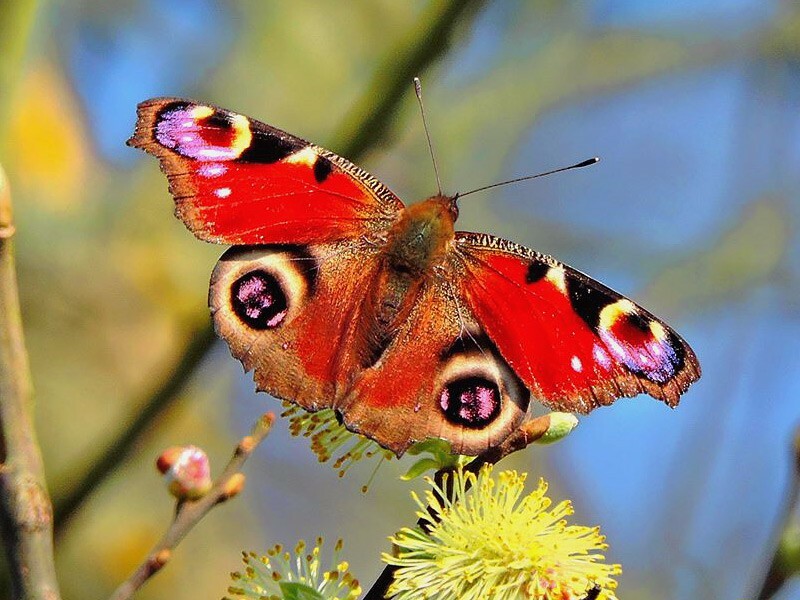 With a 95 mm wingspan this is one of Europe’s largest moths and as the species was considered virtually extinct in Britain this sighting even got a mention on BBC’s Autumnwatch. 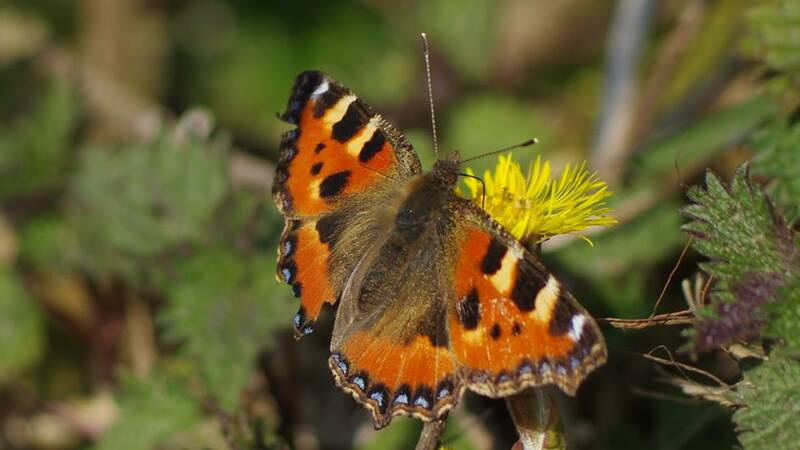 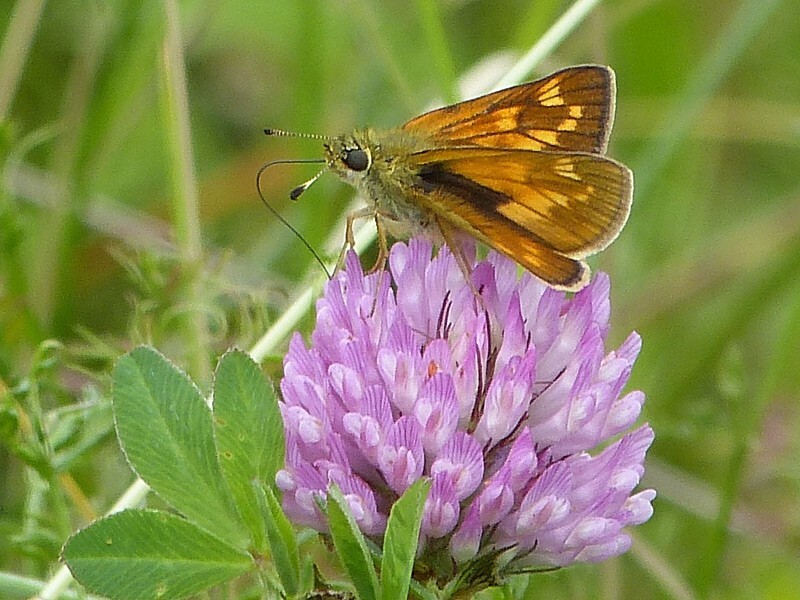 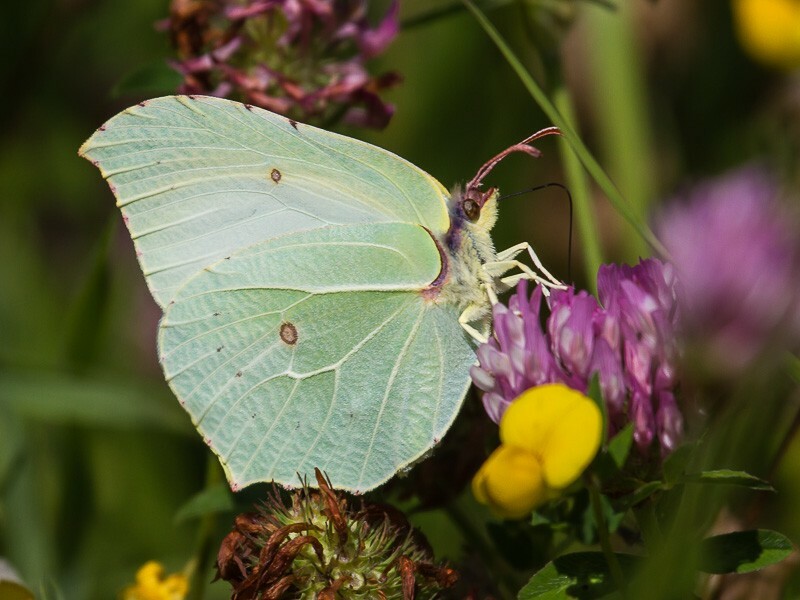 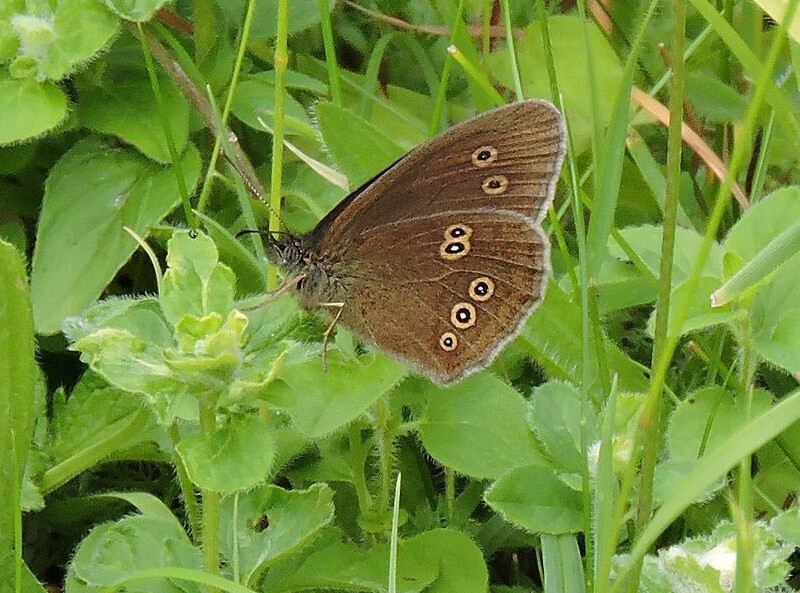 Here are some images of butterflies which can be seen at the reserve.